Did you know that your portable fire extinguishers are an incredibly important part of your commercial kitchen? That’s right. Fires in commercial kitchens are all too common. 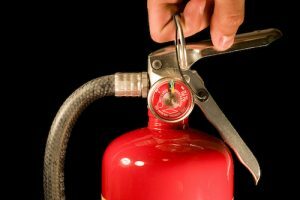 When you make sure your fire extinguishers are working properly, you’ll not only meet your code obligations, you’ll also protect your kitchen from costly damages that could occur as a result of a fire. 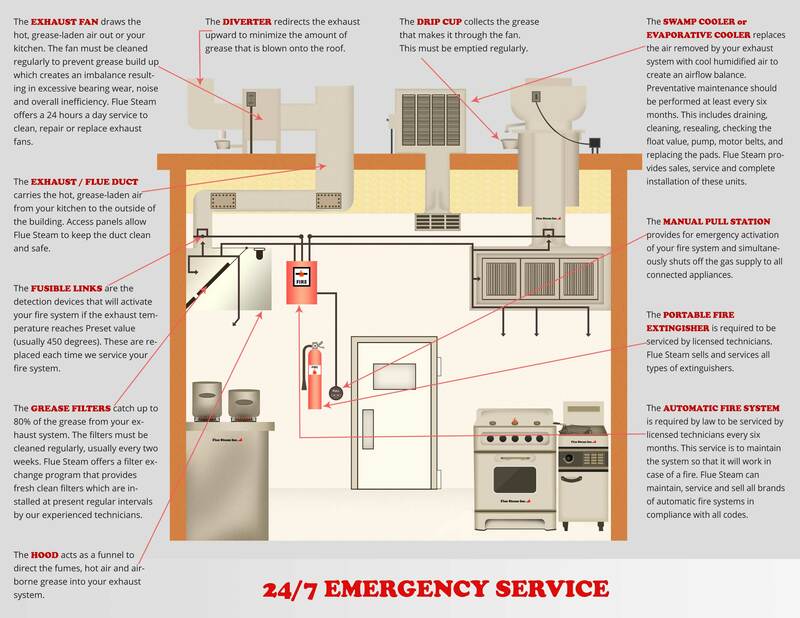 At Flue Steam, our top priority is the safety of your commercial kitchen. That’s why, over the years, we’ve consistently added to our offerings of quality services for your commercial kitchen. Sure, we’re well-known for our thorough exhaust system cleaning services, but we also offer a bunch of other essential services, including portable fire extinguisher sales, maintenance, and repairs. We at Flue Steam sell all types of fire extinguishers for commercial kitchens, and we’re always happy to provide expert recommendations upon request. We can help you decide which portable fire extinguishers would be best for your commercial kitchen. We can also recommend how many to buy and where to place them for maximum protection for your kitchen and to ensure complete compliance with all relevant fire safety codes. You’ll feel so at peace when you know that you have high quality portable fire extinguishers have been placed for maximum benefit. Rest assured that your portable fire extinguishers from Flue Steam will be in perfect working order and ready to use should the need ever arise. Rely on our professional commercial kitchen safety experts for licensed portable fire extinguisher sales and services. Ready to get started? Call Flue Steam at 800-700-FLUE, and we’ll gladly send one of our highly qualified portable fire extinguisher experts over to your commercial kitchen to meet all your needs. Contact us for an appointment today – get total peace of mind tomorrow. We’ve been serving Southern California commercial kitchens for over 48 years, so you can really rely on us to meet your needs reliably. Begin your partnership with Flue Steam today – you won’t have to worry about taking care of these tasks ever again! We’re based in Culver City, though we partner with commercial kitchen managers all over Southern California. Give us a call at 800-700-FLUE today – we look forward to improving and maintaining maximum security of your commercial kitchen.